Pricing and specification subject to change without notice. 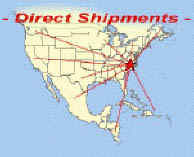 Add for handling and direct shipping cost. Farm-Maxx Rotary Cutters offered by Fast Forward Services work well for farmers, landscapers and the estate/large property owner. 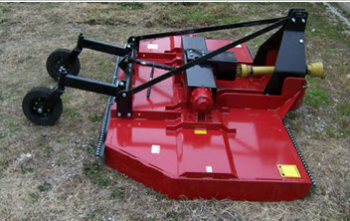 They are fabricated with a reinforced deck, a heavy duty pressed pan type stump jumper and floating top hitch. 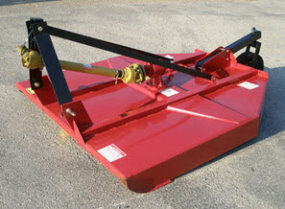 All rotary cutters have the laminated tail wheel and the URC-84HD is standard with the double laminated tail wheel. Each cutter has a Eurocardan drive line for the PTO. 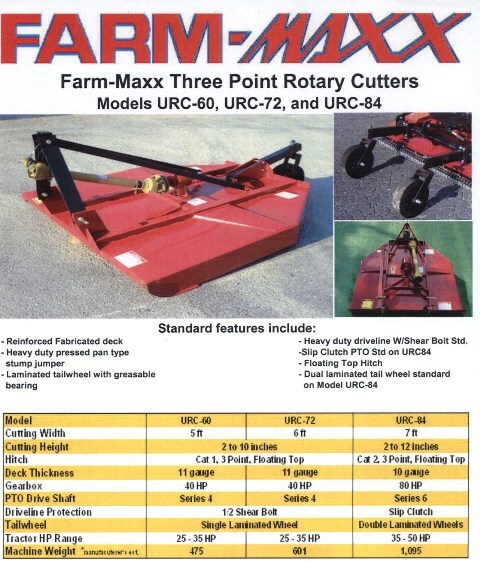 The Farm-Maxx Rotary Cutter offers the quality of a name brand cutter with an economical price.